Herewith the final declaration of the 1st Mesopotamian Water Forum, which was held on April 6-8, 2019 in Sulaimani (Sulaymaniyah) in the Kurdistan Region of Iraq. More than 180 water activists from the Mesopotamia region and other countries gathered for the 3-day forum at Sulaimani University. 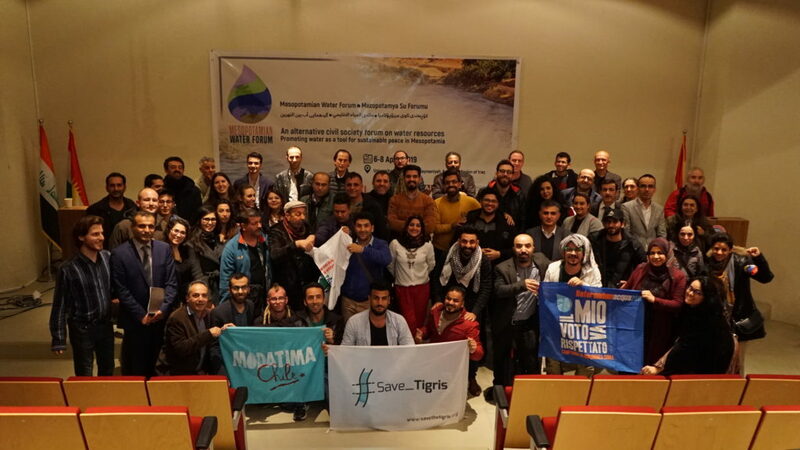 Several civil society organizations from all over Mesopotamia – in particular members of the Save the Tigris Campaign – organized this water forum, which consisted of several plenary sessions and nine workshops. It was an open space to give voice to civil society of the region, too often excluded from decisions on water. The forum was accompanied by a photo exhibition on the upper Tigris River. The activists denounced the grave impacts of dams and other water infrastructures on social structures, river ecosystems, cultural heritage, and local economies. The lack of democratic, decision-making mechanisms was highlighted. Another important aspect that was critiqued is the use of dams as weapons of hegemony by upstream states and powers against downstream communities. Strong alternative approaches were proposed to counter these developments. After a vibrant discussion of the final declaration, it was decided to organize the 2nd Mesopotamian Water Forum in Diyarbakir (Amed). Water for Life and Water for Peace! Below the final declaration in English. Over-extraction; the draining of marshes and wetlands; deforestation; too many irrigation projects, poorly-drained land; pesticides and fertiliser run-off; contamination by poorly or often un-treated discharges from industry as well as households; the widespread building of large and cascade small dams; the increasing exploitation of groundwater aquifers; stream channelization; inter catchment water transfer schemes; and the ravages of fossil-fuel-induced climatic change have variously disrupted hydrological cycles and created conditions of severe local and regional scarcity. For human and non-human beings, such physical scarcities have been exacerbated by policies aimed at commodifying and/or politicising water, denying access to the common good of water. Water is a crucial element of our culture and spirituality. Many legends, myths, songs, poems, prayers, and dances are centered on water. This has been the case since humans settled in Mesopotamia up to 13.000 years ago. 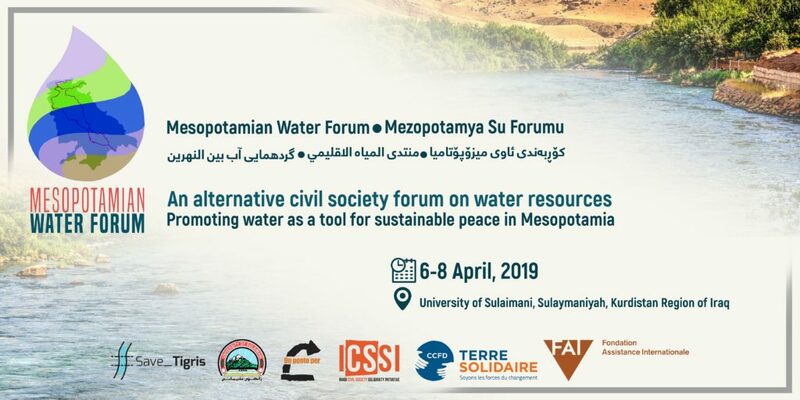 Committed to working for peaceful, sustainable and equitable solutions to these multiple injustices, over 150 water activists from the region, together with like-minded colleagues from Africa, Asia, the Americas and Europe, gathered at the University of Sulaimani in the Kurdistan region of Iraq from 6-8 April 2019 to participate in the first ever Mesopotamian Water Forum. We met in the spirit of solidarity and mutual learning. We interrogated the many causes of water scarcity, exploring the complex ways in which demand for water is mediated through economic and social systems. We learned how the intensive construction of dams and other water infrastructure schemes have created water scarcity. 1.Challenge destructive and exploitative water policies in the region, recognising the particular burden on women and other oppressed identities, and addressing their underlying causes. 3. Stand against the use of water as a weapon for hegemony and to work to ensure that water is a tool for cooperation and sustainable peace. Upstream states in Mesopotamia must ensure the rights of people downstream to water. 4. Call for an end to the recent cutting of water flows by Turkey and Iran to Syria and Iraq. 5. Call to prevent the flooding of the 12000-year-old city of Hasankeyf caused by the Ilisu Dam and to preserve the unique natural and cultural heritage of the Iraqi Mesopotamian Marshlands from degradation. 6. Build alliances, nationally, regionally and internationally to evolve policies and practices that would democratise water management. 8. Considering that most diverted water goes to irrigation, the following points are crucial: For farmers in a subsistence economy, clean water is vital, which is why in areas close to water no chemicals should be used. As hybrid seeds and GMO seeds require too much water and harm the ecosystems, local seeds should be used. Animal shelter should not be built close to water so that no serious harm is caused to waters. The water used in agriculture should not be contaminated by industry. Irrigation close to the water course is feasible, but no water should be transferred to areas far away from the water course. Thus, instead of transfering water to plants, plants appropriate to the climate and precipitation regime should be cultivated. 9. The pollution and destruction of the Tigris River starts in an intensive way far upstream. One reason for this is that the river has no river status in the upstream stretch until Bismil city. 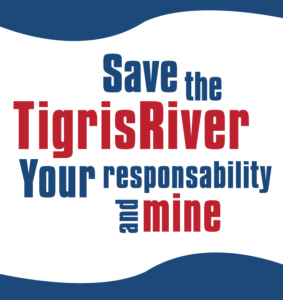 We call for an international campaign to declare the river status for the upper-most stretch of the Tigris River. 10. 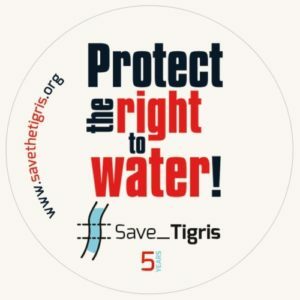 To strengthen the Save the Tigris Campaign (STC) as a network through which water activists in Mesopotamia can exchange information and analysis, explore commonalities and differences, prepare common statements and reports and organize common activities/campaigns. 11. Develop the Mesopotamian Water Forum as an open space for advocating for new decision-making processes at municipal, national and regional levels through which environmentally and socially just water policies can be inclusively formulated and promoted. 12. Implement the specific recommendations made by workshops at the Forum. 13. We have committed to organise the 2nd Mesopotamian Water Forum in Diyarbakir (Amed) / Turkey in the near future.